Hironori Takahashi is a music shop staff (Disk Union) in Tokyo. He grew up and encountered techno/house in Morioka, Iwate. He spent a lot of time in there underground scene. He save the music by supporting the next movement, djing, and creating music. 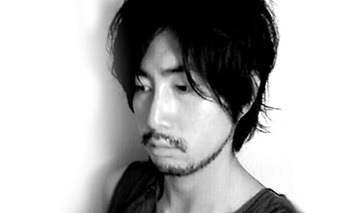 In 2004, he started project named “Resonant Glitch Project” to support next movement. He promote underground scene like Danjel Esperanza, One.way.ticket rec. (Paddo, der eine and der andere), dub KULT and Takaaki Itoh in this project. He create sound under influence of his mental and physical experience to be more experimental. In 2009, he released splitted single “Trianalysis E.P.” with Tanaka Hideyuki and Arkta, and second single “Lux Draft E.P.” on Estocastical Beats (Spain) that Estocastico runs label. His track “Medue” was included in “The Alpha Sampler” that is a Lucy(Ware, Meerstief, Perspectiv)’s label “Stroboscopic Artefacts” compilation single. And, “medue” is included in loco dice’s mix-cd “amnesia ibiza undergruond 10″. And he became a Aconito Records that nAX_acid a.k.a. Andrea Ruffino runs label (London) crew. His single will be released later on aconito records.